The first openly gay Episcopalian bishop in Maine will be officially consecrated this June. Reverend Thomas Brown was elected on Saturday to become the 10th Bishop of the Diocese of Maine. 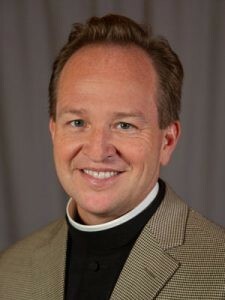 He’s the third openly gay Episcopalian bishop in the U.S. pending confirmation. Brown is originally from Michigan. He was born in the Upper Peninsula town of Bruce Crossing. Brown graduated from Western Michigan University in 1988. He was ordained at the Diocese of Western Michigan 10 years later. Brown has been serving at the Parish of the Epiphany in Massachusetts since 2009.